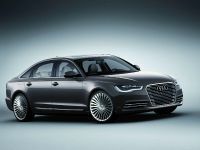 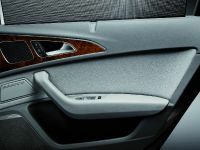 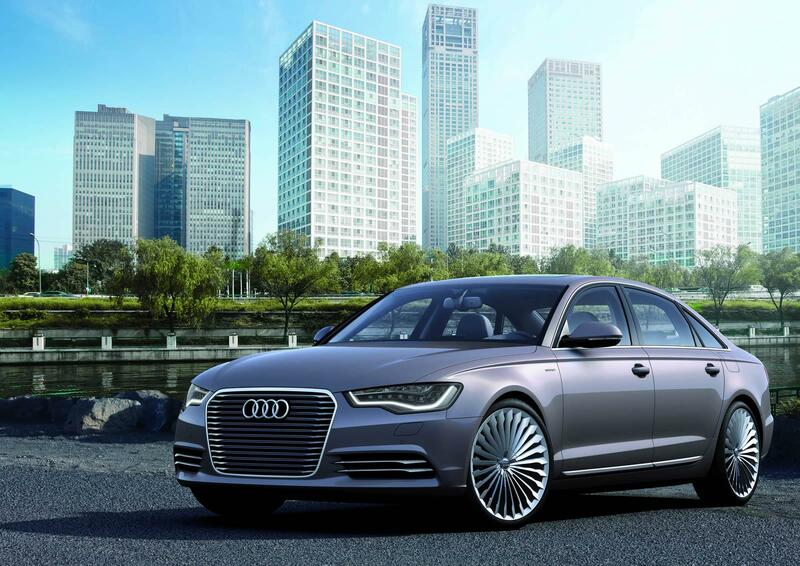 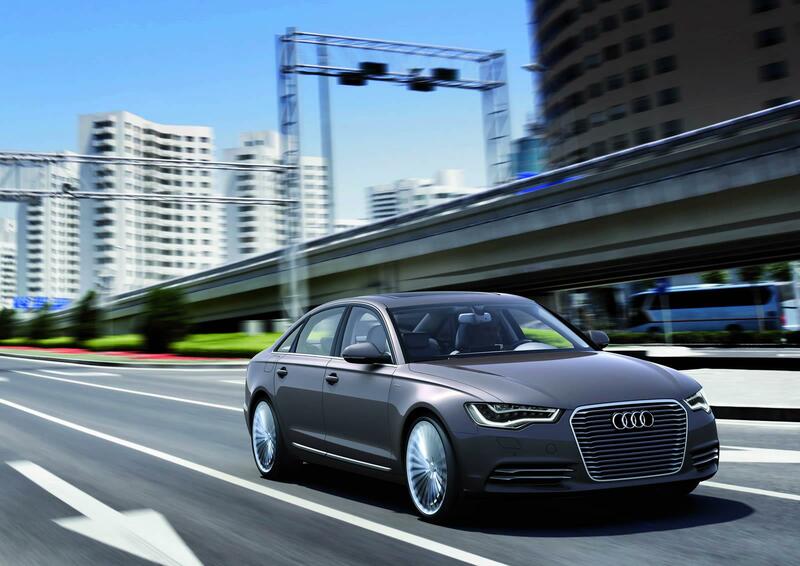 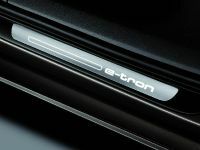 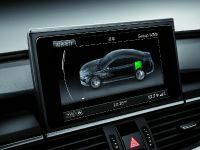 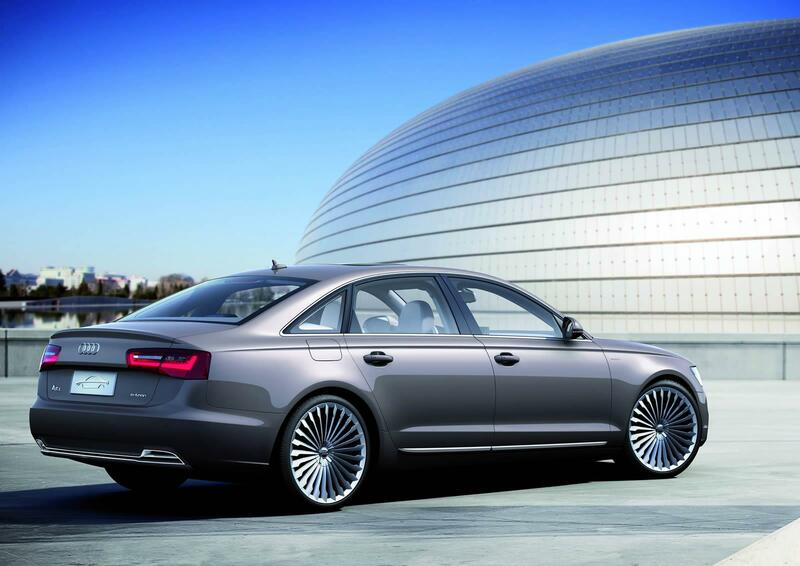 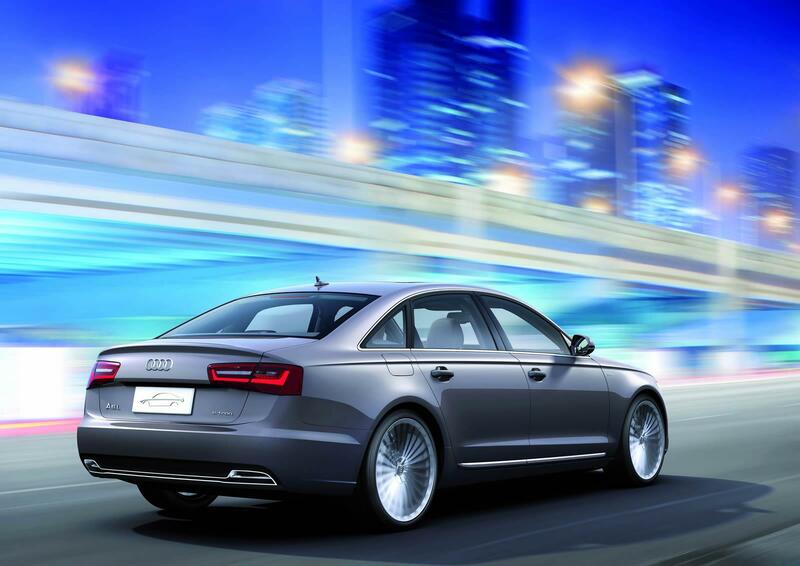 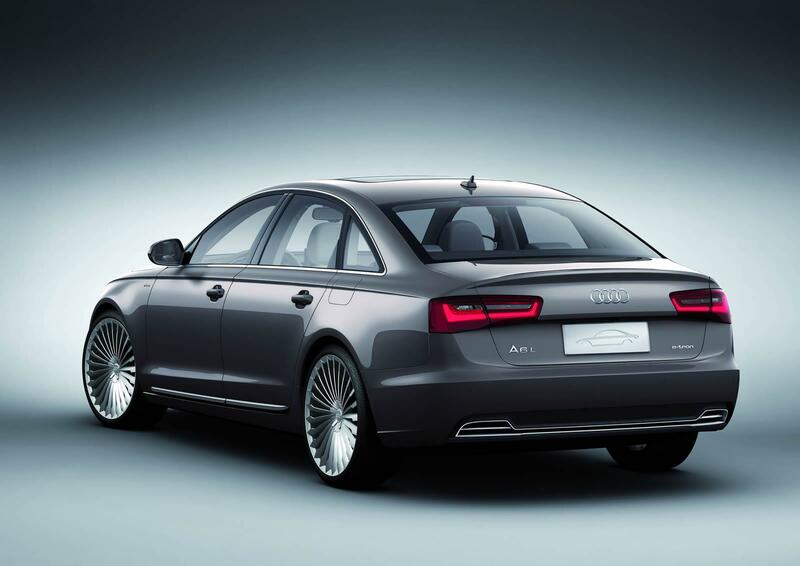 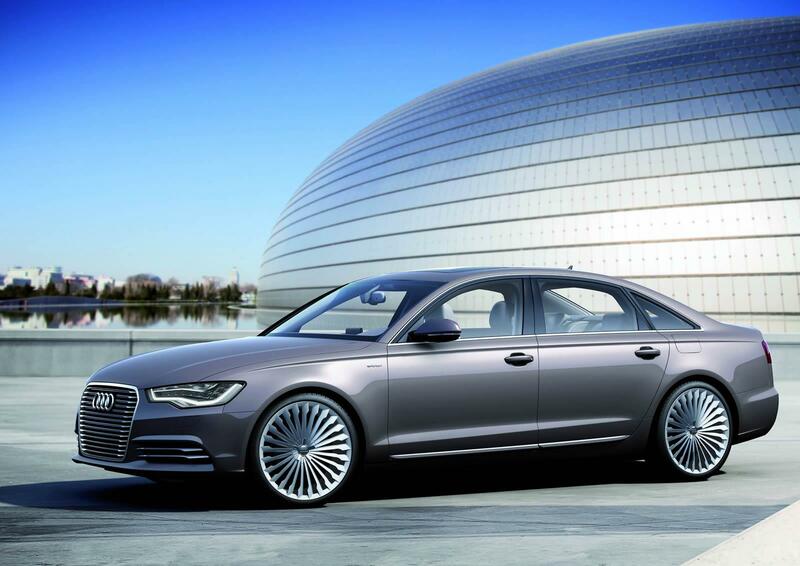 Audi is presenting its first luxury-class e-tron concept car - Audi A6 L e-tron at Auto China 2012 in Beijing. 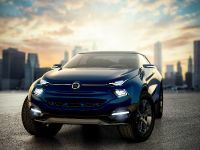 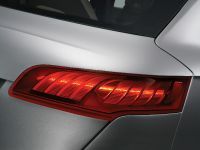 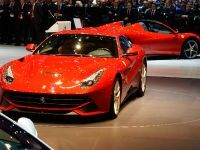 The manufacturer also presents two other brand new concept vehicles at the auto show, but they won't be in focus now. 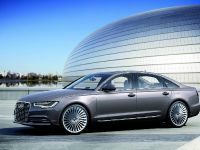 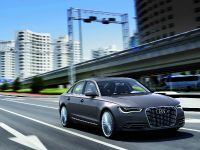 The plug-in hybrid is based on the long-wheel-base version of Audi A6 saloon, which is the best-selling model on the Chinese market. 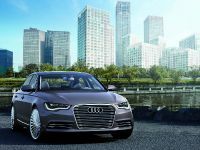 It is typical for the European manufacturers to run LWB versions specially for the Chinese market like the BMW 3-Series F30 LWB. 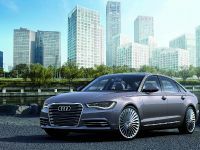 These models are widely appreciated and well sold in China, that's why Audi decided to run their new hybrid in LWD version. 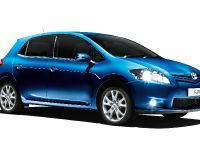 However, the styling has been updated to differentiate it from the production model. 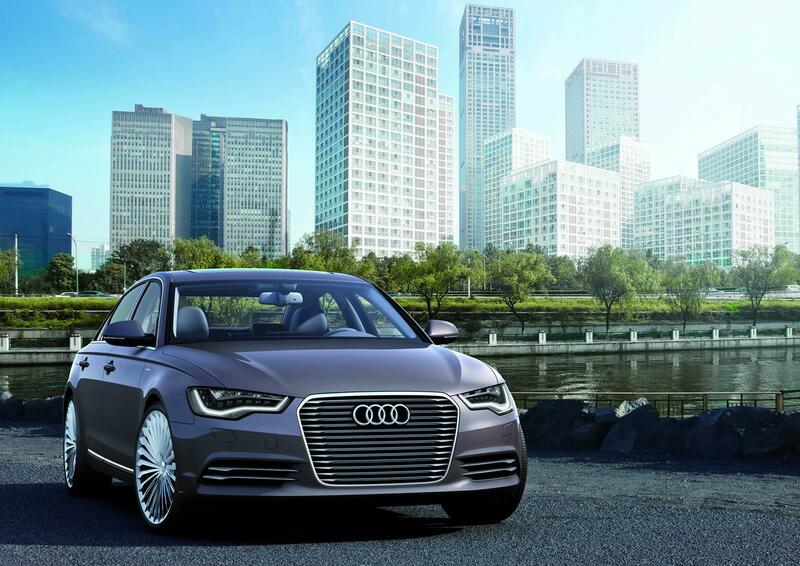 The A6 L E-tron comes with new front grille with horizontal chrome bars giving it better front look and massive appearance. 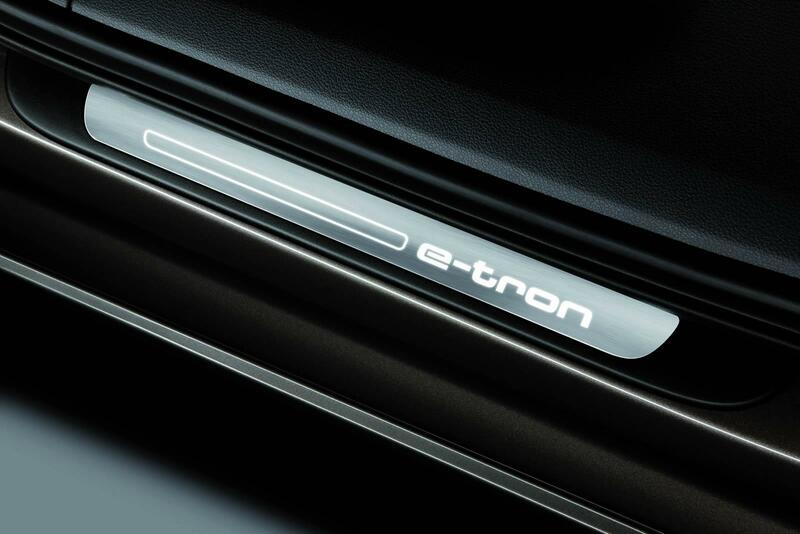 There is also a new rear diffuser and enormous 21" alloy wheels in special e-tron design. 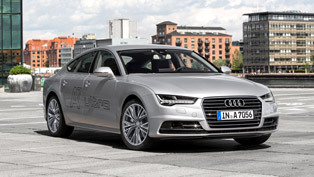 The powertrain features a 2.0 liter TFSI with 211HP (155 kW) coupled with an electric motor with 95HP (70kW). 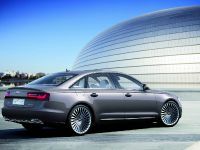 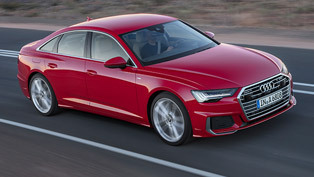 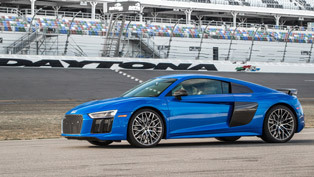 The electric motor is powered by a special liquid-cooled lithium-ion battery, which alloys the A6 L to travel up to 80km in all-electric mode if travelling at a constant speed of 60 km/h. 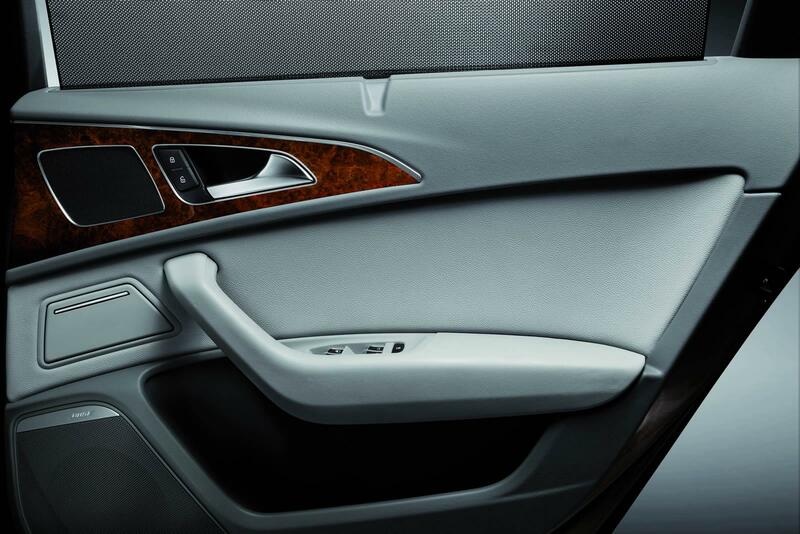 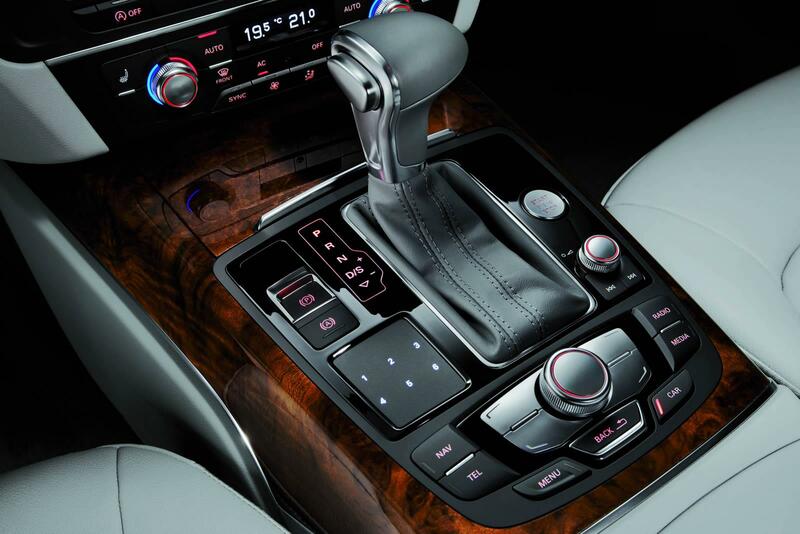 The interior boasts intuitive controls. 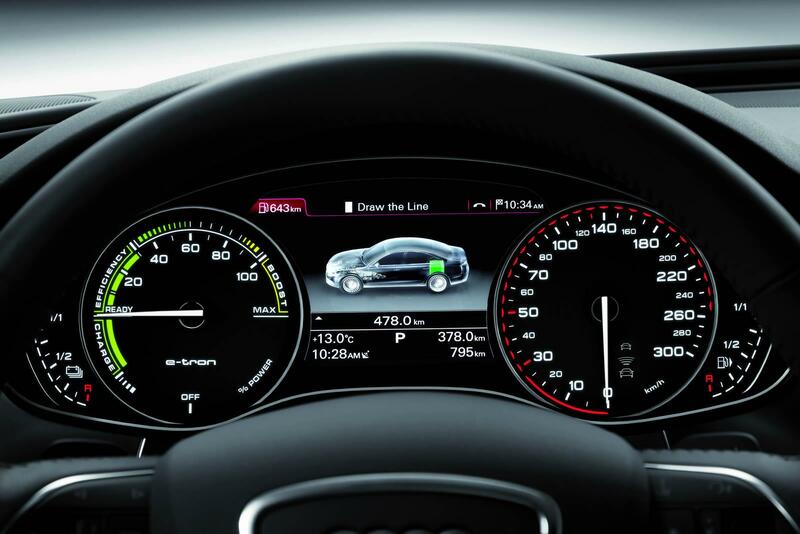 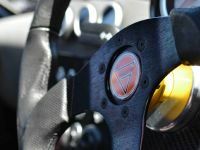 The powermeter replaces the tachometer; its pointer indicates total drive system power on a scale of zero to 100%. 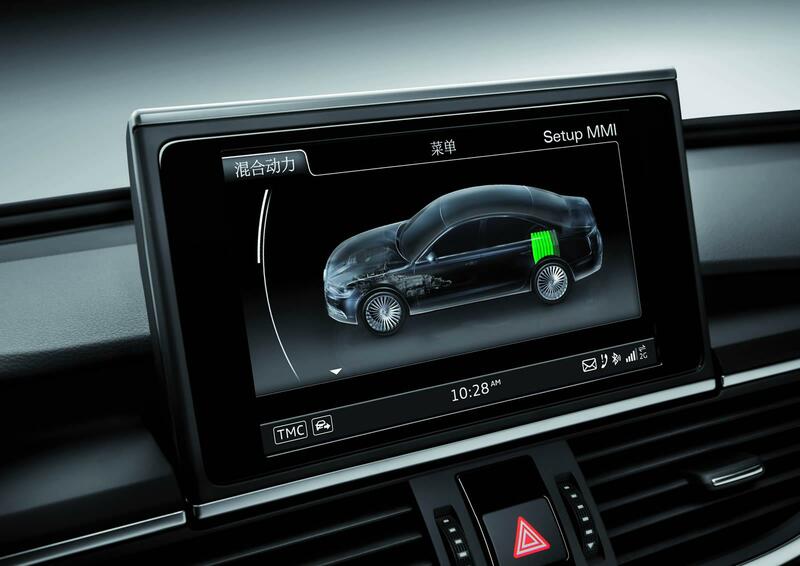 Colored segments indicate the current operating state of the A6 L e-tron concept; an auxiliary instrument visualizes the charge state of the lithium-ion battery. 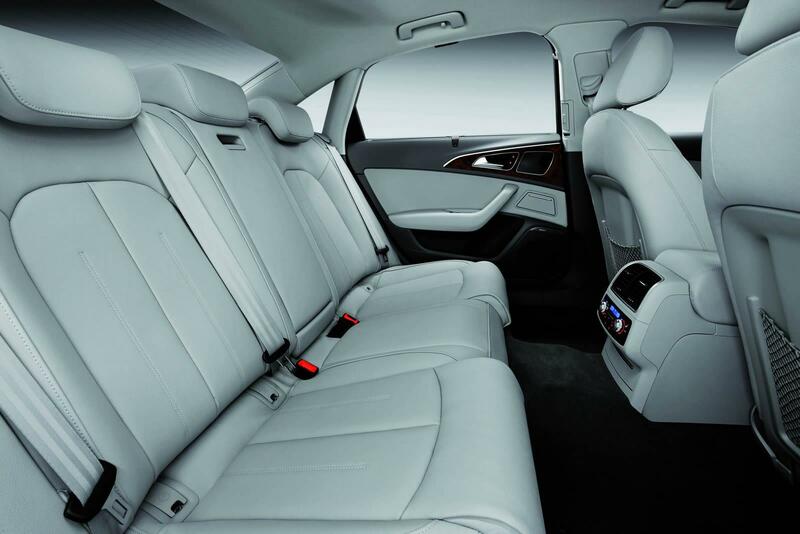 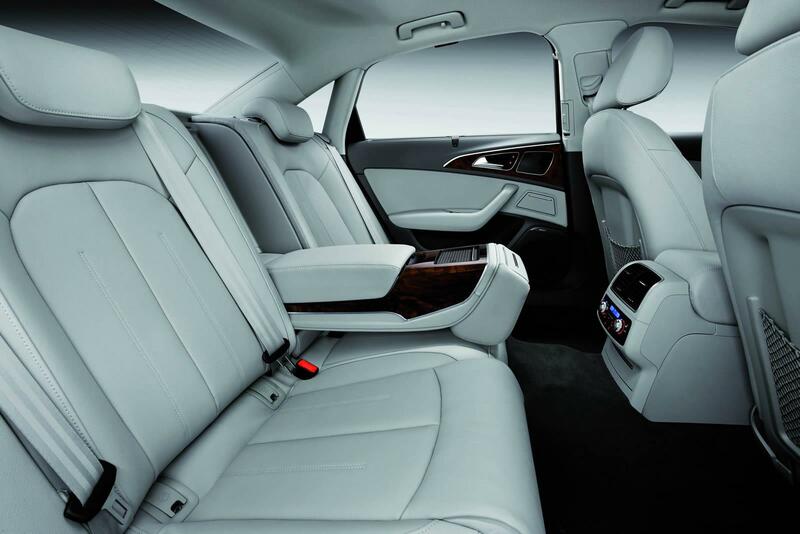 The Audi A6 L e-tron concept offers a lot of space at all seating positions. 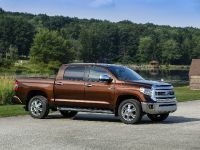 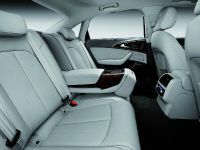 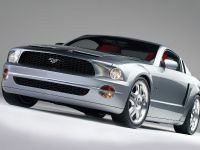 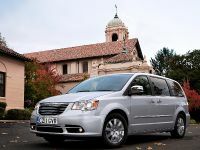 It integrates all of the model line's luxury-class features. 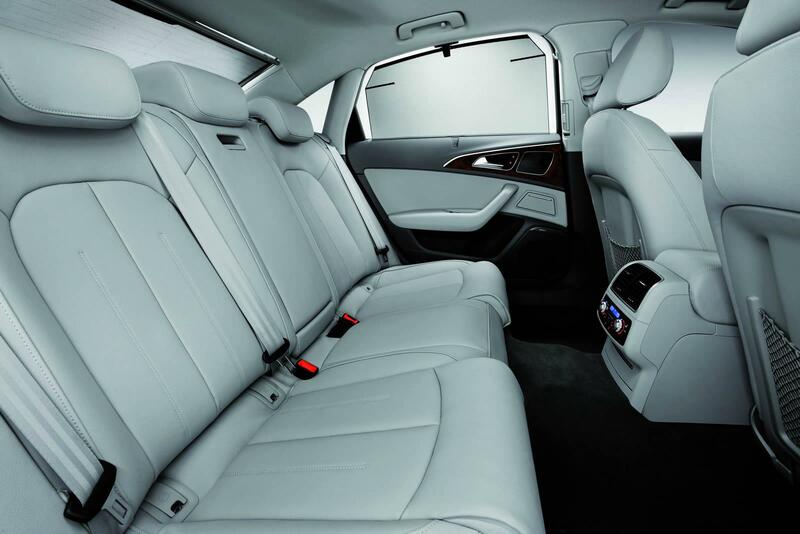 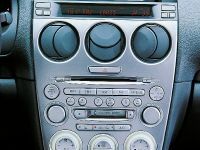 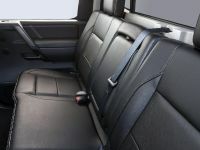 The seats offer ventilation and massage functions, the Bose surround system delivers good sound, and the deluxe automatic air conditioning system with air ionizer ensures a pleasant climate in the car. 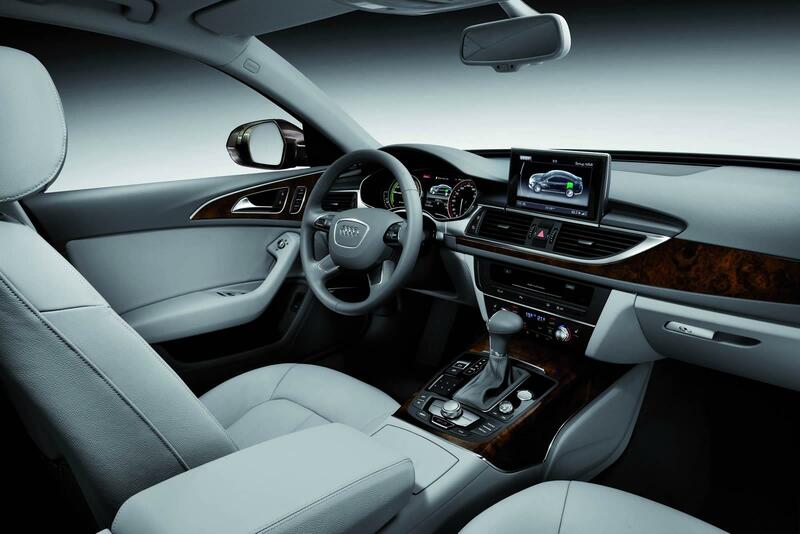 Ambient lighting adds subtle highlights to the interior illumination.